The Moto G4 Plus is a welcomed evolution of the Moto G series, which takes it a step further in terms of features and performance. The phone packs in a much needed SoC upgrade which keeps the latest version of Android running smoothly, a fingerprint sensor, a good camera for daylight photography and an all-day battery life. The phone also supports dual SIM 4G along with a dedicated slot for a microSD card. The camera performance isn't the best for low-light photography although we appreciate the professional mode. Overall, the Moto G4 Plus is a good buy for those looking at a solid all-rounder under Rs. 15,000. Motorola Moto G4 Plus smartphone was launched in May 2016. The phone comes with a 5.50-inch touchscreen display with a resolution of 1080x1920 pixels at a pixel density of 401 pixels per inch (ppi). Motorola Moto G4 Plus is powered by a 1.5GHz octa-core Qualcomm Snapdragon 617 processor. It comes with 2GB of RAM. The Motorola Moto G4 Plus runs Android 6.0.1 and is powered by a 3,000mAh non-removable battery. 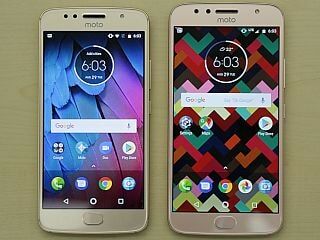 As far as the cameras are concerned, the Motorola Moto G4 Plus on the rear packs 16-megapixel camera. It sports a 5-megapixel camera on the front for selfies. Motorola Moto G4 Plus based on Android 6.0.1 and packs 16GB of inbuilt storage that can be expanded via microSD card (up to 128GB). The Motorola Moto G4 Plus is a dual-SIM (GSM and GSM) smartphone that accepts Micro-SIM and Micro-SIM cards. Connectivity options on the Motorola Moto G4 Plus include Wi-Fi 802.11 a/b/g/n, GPS, Bluetooth v4.10, USB OTG, FM radio, 3G, and 4G (with support for Band 40 used by some LTE networks in India). Sensors on the phone include accelerometer, ambient light sensor, gyroscope, and proximity sensor. 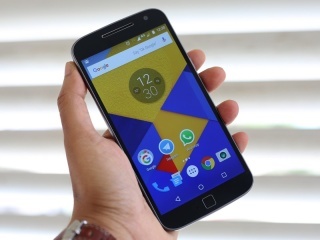 The Motorola Moto G4 Plus measures 153.00 x 76.60 x 7.90mm (height x width x thickness) and weighs 155.00 grams. It was launched in Black and White colours. 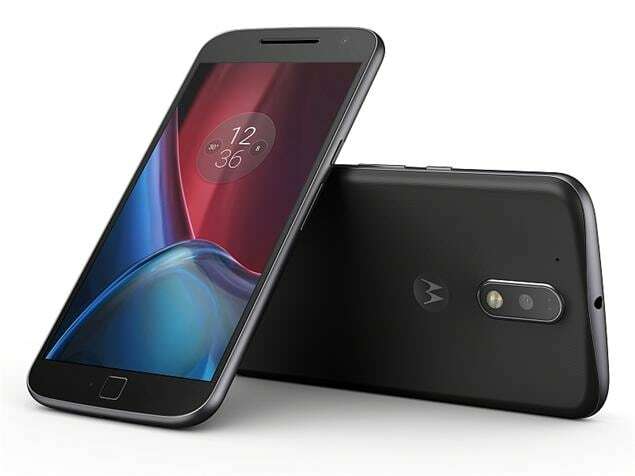 As of 18th April 2019, Motorola Moto G4 Plus price in India starts at Rs. 6,995.